One of my wildest dreams has been to market luxury real estate like this: “Try Before You Buy”. We try on shoes, clothes, and test-drive cars. All of those are a hell of a lot cheaper than a home. But who gets to “try a house” to see if you really love it? Why not take it for a “test-drive” before you sign on the dotted? That is exactly what The Perry-Miller Streiff Group of Dave Perry-Miller Real Estate the week before the election. They took 4920 Mangold Circle, lovely creekside cul de sac off Strait Lane, not too far from Jennifer Staubach Gates’ pad on Keyhole, not for a just a test drive, but a lifestyle test. It’s called Dwell Well. 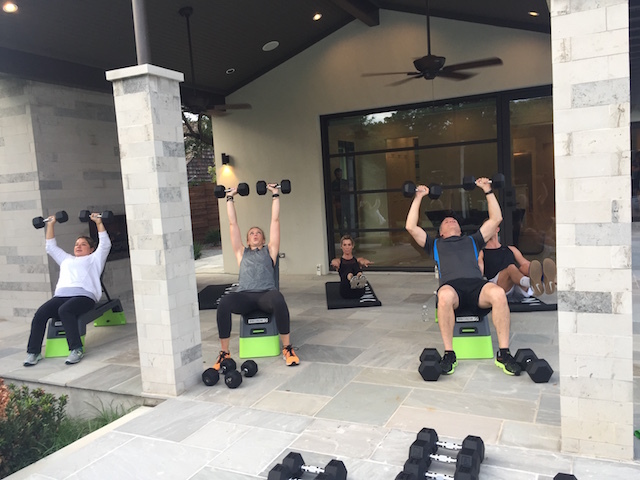 Exercise and lifestyle experts from Equinox came over to implement a very successful program they have been developing in other states: real-time workout sessions around the pool, fitness and health tips, and nutritional snacks in a private listed residence. 4920 Mangold Circle is definitely a high performance house, befitting of a relationship with the Equinox brand. In fact, Equinox is owned by Related Companies, a privately owned real estate firm in New York City with offices and developments in Boston, Chicago, Los Angeles, Las Vegas, Miami, San Francisco, even Abu Dhabi. The company was founded by Stephen M. Ross in 1972. Under it’s belt are Oxford Properties, Vornado Realty Trust, SL Green Realty, The Blackstone Group and Equinox. Formidable siblings, real estate in the blood. The Mediterranean Traditional at 6855 Lakewood Blvd. is one of five featured luxury open houses in our weekly roundup. 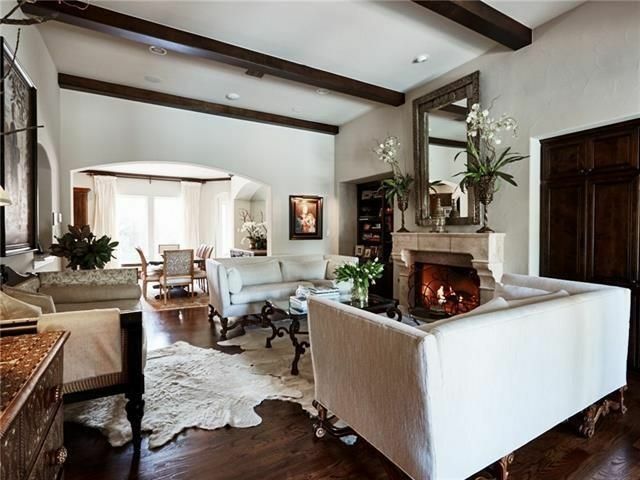 Hold onto your hats: this week’s edition of the CandysDirt Open Houses of the Week column is all luxury and they’re marvelous! Every Thursday, we pick five fabulous open houses in Dallas (and the ‘burbs from time to time) you shouldn’t miss. 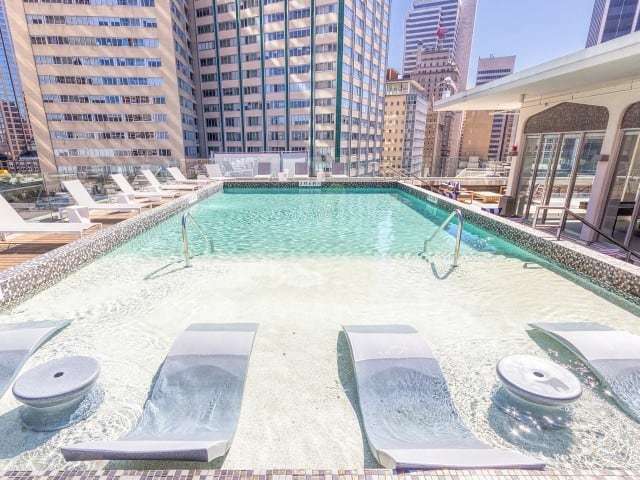 These are all $1-million-plus properties with exceptional amenities and finish-outs. Let us know what you think of our choices, and if you know of any we should feature next week! From the exterior, 6047 Woodland looks like an elegant, Beverly Hills-style stucco Mediterranean of smooth beige with cream accents. The yard is beautifully manicured with an an occasional palm. Typical Preston Hollow manse, right? Yawn. What kind of home really evokes “Dallas luxury” to you? This is not a rhetorical question, folks! We really want to know because there are two amazing, multi million-dollar Preston Hollow estates competing for the most votes in the HGTV Ultimate House Hunt contest. Both 6326 Lakehurst and 5139 Seneca are in the competition’s “Curb Appeal” category, though there’s a lot more to love that what’s on the outside. 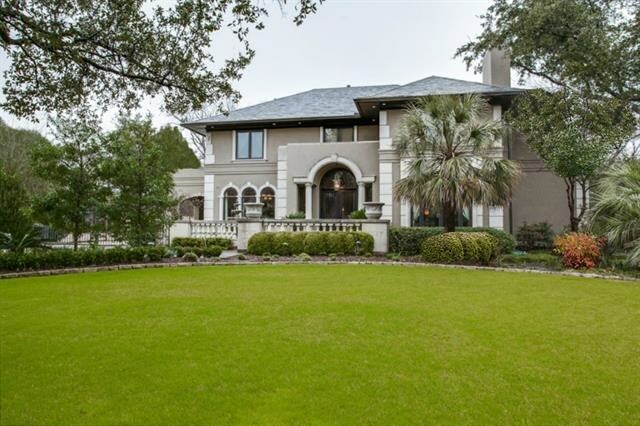 While the chateau at 5139 Seneca has incredible presence, there’s something warm and inviting about the Mediterranean mansion at 6326 Lakehurst. Jump to see more!